After clearing the first obstacle, a rock, our convoy headed to second. This one was to cross a stretch of pit covered with muddy water. It wasn't deep enough to sink the suvs and just appeared superficial. As Arka explained what to do, one of the participant promptly asked- "in this situation, who has better advantage? one who crosses first or one who crosses last?" There was no clear answer to this. Both first and last car crossing the mud path has advantages as well as disadvantages. As I understand, one who goes first gets the advantage of undisturbed terrain and if he is skilled enough can sail through easily. However, those who go behind gain some benefits too- by observing the vehicle ahead, they can identify spots which may be deeper or having possibility of wheel digging deeper and try to avoid such spots. Also the bed could get hardened a bit after multiple vehicles crossing over it. But on the other hand, if initial vehicles had lots of wheelspin digging deeper and deeper into the mud, vehicles behind will have tougher time negotiating them. Swamy was the first to cross the mud in his Thar and he did it successfully. Other vehicles followed suit. Few drove in reverse too. 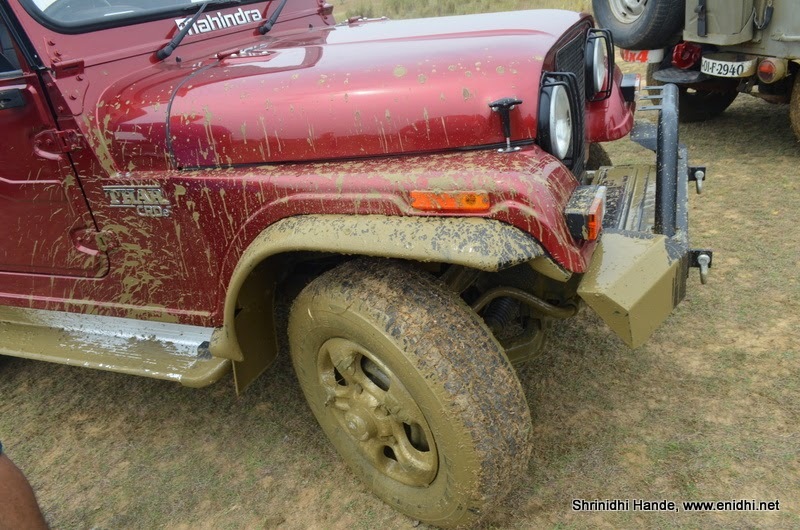 Participants were encouraged to try negotiating it in 2 wheel drive itself and engage 4WD only if required. 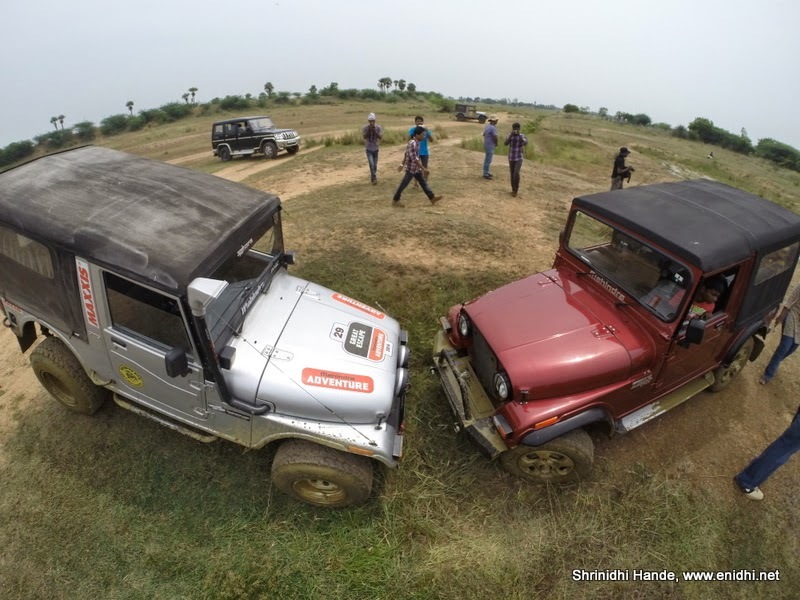 Watch the video below to witness second part of the offroad for beginners challenge. Almost all the drivers did well in this round. Even regular street tyres did just well. I feel it wasn't challenging enough. After driving around in straight lines, drivers drove around in a zig zag manner and had fun. 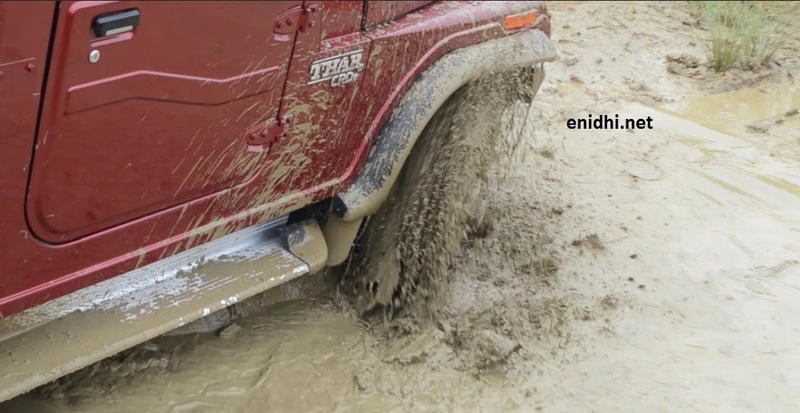 Once you see your 4x4 get dirty, you feel a sense of fulfillment. These vehicles are meant for purposes like this and using them for just the city drive won't make them justice. The Thars and other SUVs are capable of negotiating muddy stretches much more serious than what we'd tried. 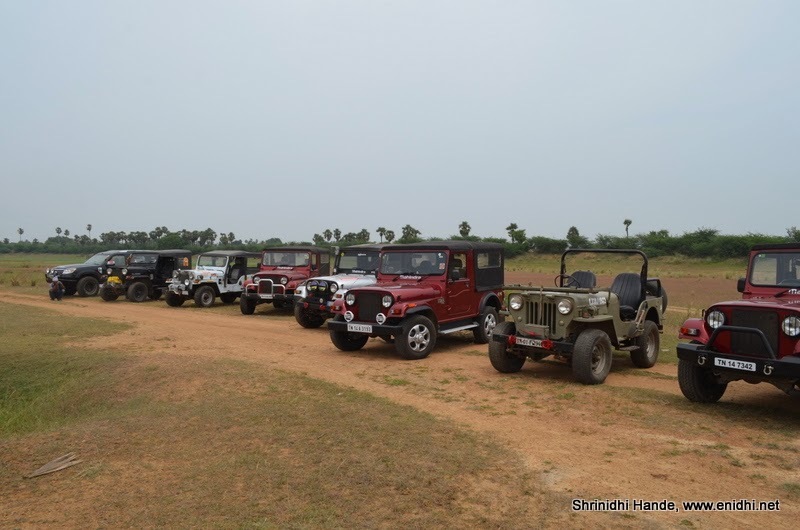 The drivers now got their basics right and will feel confident encountering tougher terrains.